Hy Readers, me again with a new blogpost. My this blog is dedicated to the Facebook buffs who want to access Facebook in their offices, colleges or institutes. Most of the business owners use firewall to block Facebook so that employees can more concentrate on their work instead of extra activities. That clearly shows that management is too smart these days. Network Engineers use firewall or other applications to block Facebook in offices or institutes. According to them by doing this they can save few bytes of Internet as well as they can lead discipline at work place. But you really think so? Ahh, I think so; A big “No”. Employee or customer satisfaction should be the first aim for any management. But not to worry, we will try to satisfy you here by sharing the cool list of free Facebook Proxy Login Sites. 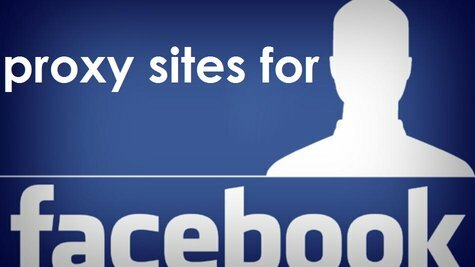 We hope these free proxy sites would help you in accessing your Facebook account. Before sharing the list of sites we would like to request all our readers just don’t spend much time on Facebook or other social sites in office hours. After all they are paying you for sitting there. I know they are bad but still be good and respect them. We request you to please share the feedback of these sites in our comment section so that we can do needful.